All World History is an education project and campaign that supports schools to shift from a Euro-centric lens of history to a more critical and universal one. We provide teachers and schools with resources and pedagogy to develop a history curriculum that highlights multiplicity in narratives, amplifying the stories and perspectives of people of colour, to present a more accurate view of history where all young people can see themselves in the history they study. ​We're currently working in Islington schools, KS2-KS3 and more informally with Islington youth clubs. We connect schools with specialist partners, such as World of Wonderful(see below) to deliver in school class workshops, teacher training and curriculum development. ​After years of campaigning Islington Council passed a motion in 2015 stating that black history should be integrated in to the curriculum instead of just celebrating Black History Month, and warned that progress in promoting black history, culture and heritage would be severely limited unless subjects are embedded in the school curriculum all year round. We are proud partners of Islington Council and schools in the borough. 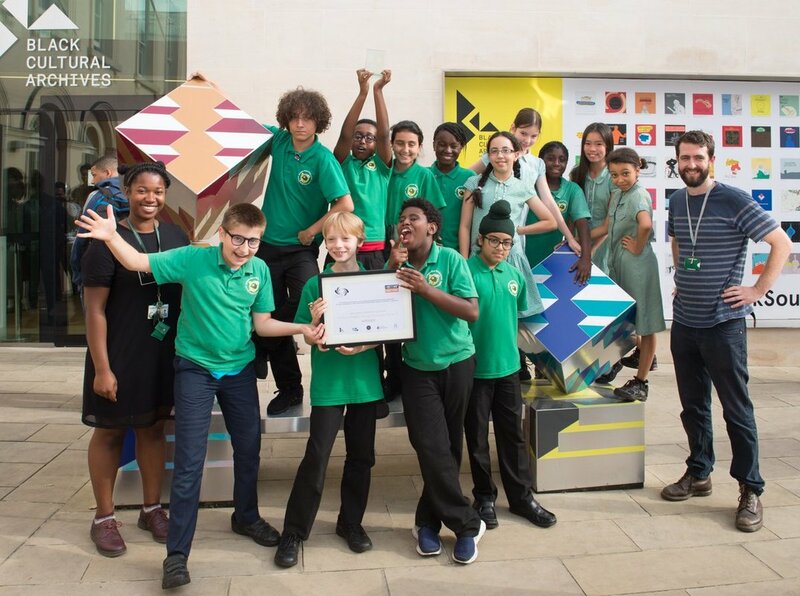 Newington Green Primary win the Young History Filmmakers Award exploring Caribbean experiences in the UK, in partnership with Every Voice, Chichester University and Black Cultural Archives, 2017. History Matters from University of Chichester on Vimeo. One school was supported by consultants from the Schools’ History project to teach the Second World War – as part of a wider world history from 1901 to the present day syllabus – with a particular focus on the experiences of Black Britons and troops from the Commonwealth to the Home Front. Justice2History helped other secondary schools to embed a new unit, studying Muslim science, and the city of Timbuktu, through time. 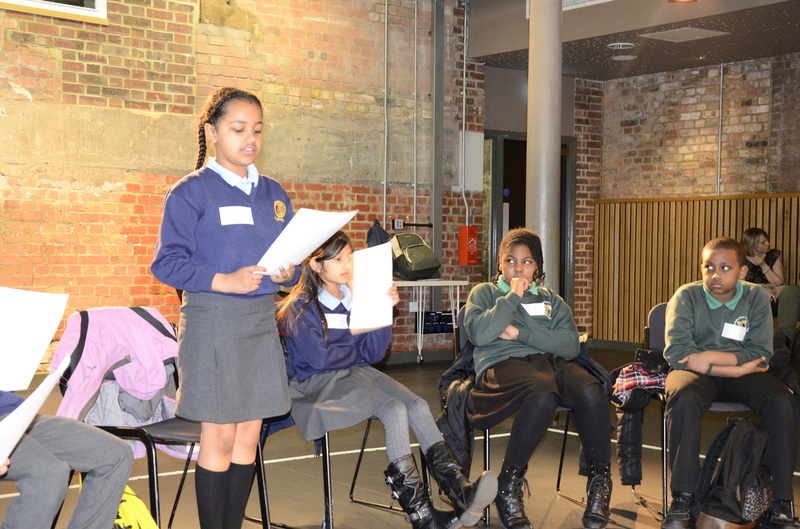 A primary school, supported by the Migration Museum Project, have developed a Year 6 History project exploring their communities’ experiences of migration. World of Wonderful are now delivering a stream of work across primary schools to develop teaching resources for all key stages. 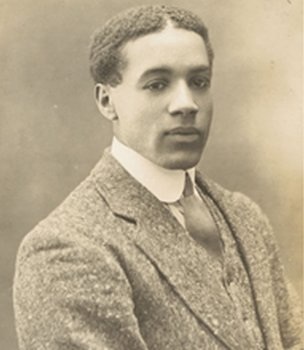 Walter Tull, British footballer for Tottenham Hotspurs and soldier who was born in 1888 and died in 1918. He was the first black officer to lead white British soldiers in battle. If you are a teacher, parent or work with a school that could access the support please get in touch! If you are a heritage or educational organisation that could provide support for schools please get in touch! The exam board OCR, in partnership with the Black and Asian Studies Association (BASA) have launched a new and highly anticipated GCSE module on Migration, which takes students through a rigorous, chronological study of history, focusing on migration to and from the UK and teaching students how British society has become what it is today. The idea is that a broader range of students will see themselves in the history they study and as a result, will be more engaged and achieve better results. Teachers who have sampled the module are already seeing these effects (see the endorsement on the left). We're calling for all secondary History teachers to consider this option. Below is a fact sheet, which gives you all the information you need to get started. It's easy, enjoyable and highly worth it for your students. We hosted an evening at Housman's Bookshop, with Anjan Sundaram, journalist and the acclaimed author of 'Stringer: A Reporter's Journey in the Congo' and 'Bad News: Last Journalists in a Dictatorship'. Here he shares why he supports our All World History All Year Round approach. Islington Council passes motion for All World History All Year Round! Every Voice was excited to see Islington pass the 2015 motion, stating that Black History should be fully integrated into the school curriculum instead of just celebrating BHM. They're the first council to pass such a motion and Every Voice are proud to be leading on its delivery, through our All World History, All Year Round campaign.The motion warned that progress in promoting black history, culture and heritage would be severely limited unless subjects are embedded in the school curriculum all year round.